Cover art by Barry Windsor-Smith. Web of the Spider-God, plot by John Jakes, script by Roy Thomas, pencils by Barry Windsor-Smith, inks by Sal Buscema. 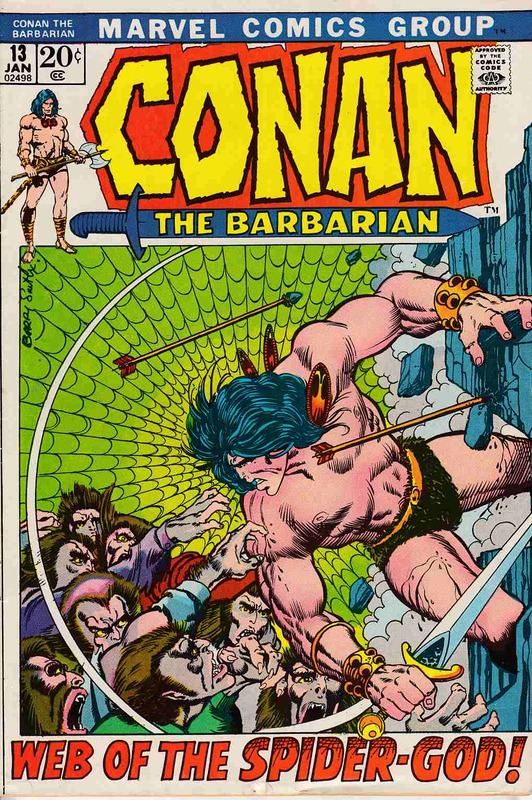 Desert east of Ophir & city of Yezud; Conan is delirous in desert, Thanix saves his life; Conan fights Omm (giant spider), Tork destroys Yezud and leaves for Shadizar with Lea. *Grading Notes: bundling ridge and edge dent along bottom edge of book.